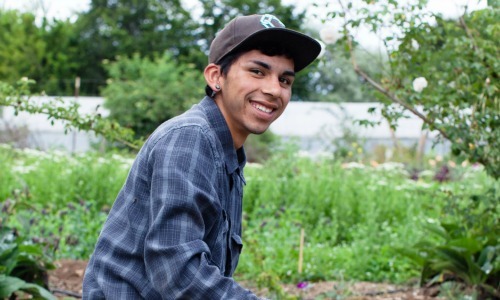 Undergraduate David Robles has worked at the Center for Agroecology and Sustainable Food Systems and is one of four UC Santa Cruz students to win UC Global Food Initiative fellowships. Hamutahl Cohen, a Ph.D. candidate in environmental studies looks at landscape epidemiology of pathogens in domesticated and wild bees. Graduate students Hamutahl Cohen and Katherine Ennis, and undergraduates David Robles and Judy Xie are among the 44 GFI fellows from throughout the UC system who are advancing work to increase food system sustainability and improve food access and nutrition at the state, national, and international levels. A public workshop to meet UCSC’s new fellowship recipients and learn more about GFI initiatives at UCSC is being planned for later in fall quarter. Check the Center for Agroecology & Sustainable Food Systems (CASFS) website, casfs.ucsc.edu, for additional information. Moe information about UCSC’s Global Food Initiative work is at casfs.ucsc.edu/research/gfi.html. Hamutahl Cohen, a Ph.D. candidate in environmental studies. Her research on the landscape epidemiology of pathogens in domesticated and wild bees sits at the intersection of urban agroecology, pollinator conservation, and California food systems. This research draws from Cohen’s first-hand experiences as an undergraduate working with the Student Organic Garden Association (SOGA) at UC Berkeley and as an apprentice and then graduate student at UCSC’s Center for Agroecology and Sustainable Food Systems (CASFS). Having benefited from experiences in urban and school gardens at the University of California, Cohen is excited to serve as GFI Fellow to promote experiential learning in campus farms and gardens, as well as enhance food access through UC food security initiatives. Katherine Ennis, a Ph.D. 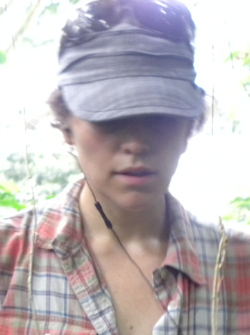 Candidate in environmental studies studying the effects of climate change on insect communities and ecosystem services in agriculture, with much of her research focused on shaded coffee systems in Central America. As a master's student at the University of Michigan, Ennis worked as a student leader for Cultivating Community's campus and community gardens, where she led garden workshops and activities for students and community members. 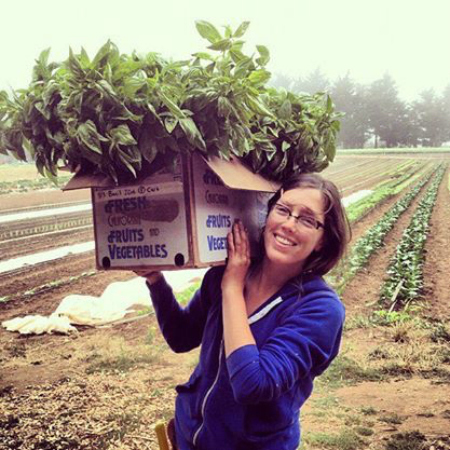 Since beginning her Ph.D. at Santa Cruz she has worked with several CASFS staff to design, organize, and lead field-based learning activities at the UCSC Farm for underrepresented high school and college students in California's central coast region. As part of the GFI, Katherine plans to continue working on projects to improve agroecology experiential learning programs and promote food security for UC students and all Californians. David Robles is an undergraduate studying plant sciences and history. Robles's inspiration for working and studying ways to improve food systems began with his employment at CASFS. Serving three years as an assistant Farm and Garden manager has exposed him to nearly every aspect of the food system in preparation for what he hopes will be a career in social justice centered around agriculture. As a GFI Fellow David hopes to use his experiences and holistic approach to education as tools for inspiring interest and creating demand for experiential learning opportunities within the UC system. 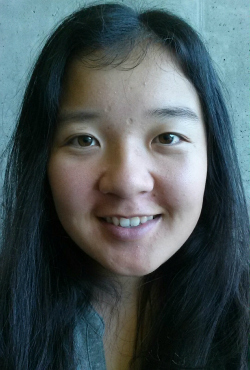 Judy Xie is an undergraduate student majoring in environmental studies and biology. Her growing interest in and passion about environmental-related issues began in fourth grade when she decided to write a story about a peanut saving the forest for a short story assignment. From then on, she has been involved with clubs and organizations that worked together to bring awareness about environmental issues and doing hands on work to improve city and state parks. Looking to explore other fields, Xie got involved with food through the Real Food Calculator team that works on food procurement and research analysis of UCSC Dining and has enjoyed learning about the food systems. With the GFI fellowship, she is looking forward to learning from her GFI peers and being involved with food equity and food access projects. In addition to their on-campus work, UCSC’s GFI Fellows will join other fellowship recipients from across the UC system for a series of activities, including an orientation, leadership training, spring field trip and joint summer symposium with Carbon Neutrality Initiative fellows.